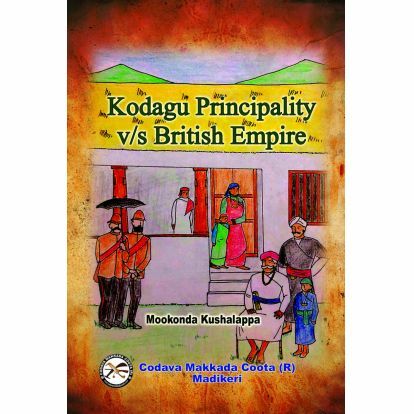 “Kodagu principality (Coorg) v/s British Empire” is a work of non-fiction. It begins with the reign of the Kodagu Rajas and speaks of their Hukum Nama, laws and records. It was the last Kodagu Raja Chikka Vira Rajendra who came into conflict with the British. The year is 1834. The event is the Anglo-Kodagu War. Karyakara (Officer) Mathanda Appachu led the resistance and defeated the British in battle. But the Raja chose not to fight further and went into hiding. Kodagu came under British rule and the British then exiled the Raja. Who was this Mathanda Appachu? Why did Kodagu become part of the British Empire? Under what circumstances did this happen? What happened to Appachu after the British took over Kodagu? For answers, read “Kodagu principality (Coorg) v/s British Empire”.